Private cruise on the Mandovi river is an exhilarating experience. Goa cruising on the Mandovi river is an enjoyable and pleasant experience for honeymoon holidaying. The finest way to enjoy your cruise on Mandovi river is to embark on a cruise arranged by Private luxury yacht or speed boat. You can feast your eyes upon exotic lush greenery and the rich turquoise-blue water of the river. You can also spot crocodiles in the river if you look carefully. You get an opportunity to cruise across the Mandovi river and enjoy the serene moonlight falling on the river turning it into a gleaming silver world. This will take you to a different world altogether and connect you with nature at an entirely different level. What more can you ask for when you enjoy the scene with your beloved! 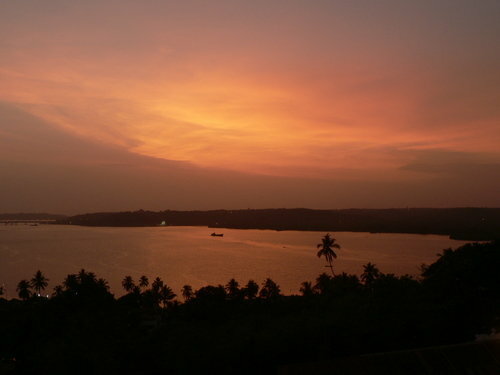 You can also enjoy the Mandovi river backwaters of Goa.